I love anything that’s either a giant or mini version of something that’s regular sized…so I was a little bit excited when I first spotted the giant Vaseline tins last year. I’m not going to lie, I was a little disappointed when I opened it to find 4 normal sized tins inside… how amazing would it be for the giant tin to be totally filled with Vaseline?! You could put your face in it! (Not that you would want to, that would probably cause all sorts of problems with your skin…) but still, a giant tin would be fun. 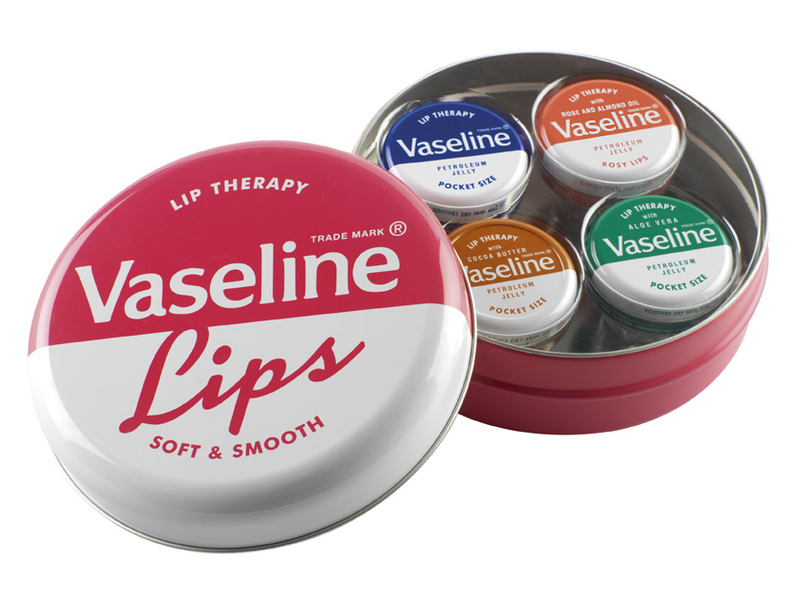 But four normal sized Vaseline pots is still good – if you are one of those people who never has one far away, then you could have a tin everywhere – one at work, one by the bed, one in your bag… one spare?! Then the giant tin is good for some quirky storage. I think this makes a cute little Christmas stocking filler or secret Santa gift – only £5.99 from Superdrug. Love vaseline. They are absolute essentials for the winter. I just love the big tin. its so cool. Ha Ha I totally thought it was one HUGE tin aswell! I was very disappointed! I got this last Christmas and had the same disappointment. The tin is so huge for what is in it that it was a bit like Easter! That’s a really cool little gift and reasonable price!